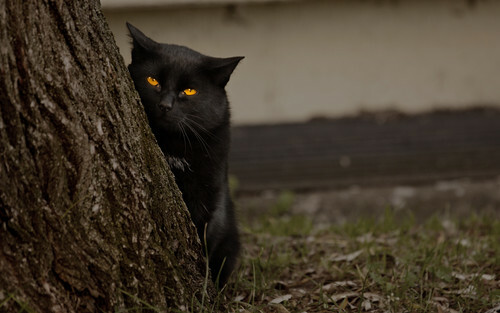 Black Cat. . HD Wallpaper and background images in the Zufällig club tagged: random halloween black cat. This Zufällig wallpaper contains tom, tomcat, kater, katze, true katze, wahre katze, echte katze, kätzchen, and kitty. There might also be tabby, königin, panther, tabby, getigerte katze, and tabby katze.